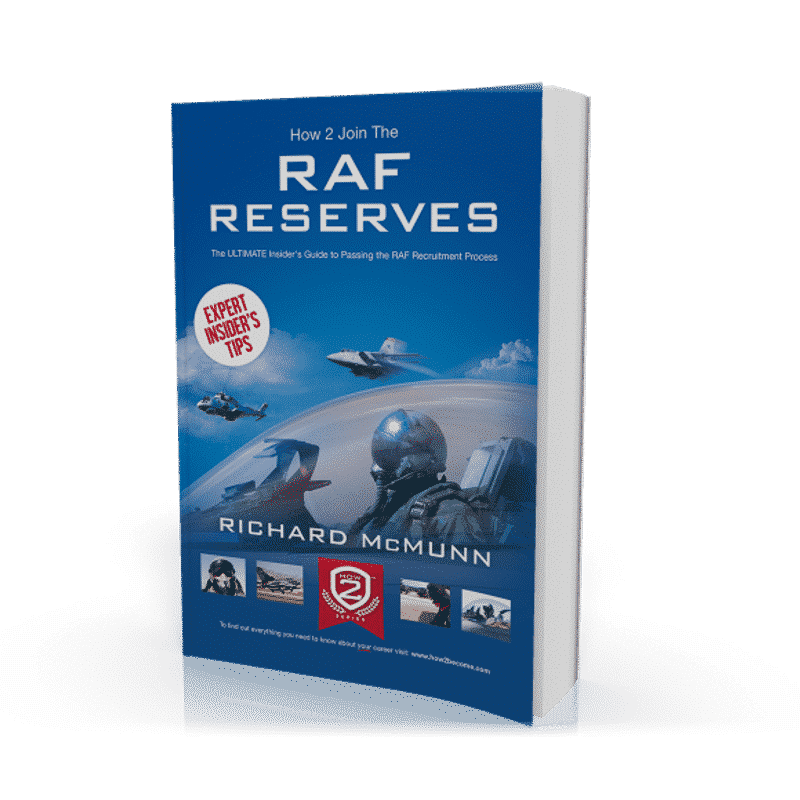 A Comprehensive guide to joining the Royal Air Force through the RAF Reserves. Learn how to pass the RAF selection process from the online application form to the interview and assessments. This comprehensive RAF recruitment guide will allow you to join the RAF Reserves in 2019! Do you think you could succeed in one of the most difficult careers around? Have you ever dreamed about joining Britain’s elite air based force? A career in the RAF could be perfect for you. As an RAF Reserve you will have the opportunity to live your normal life, whilst devoting your spare-time towards the development of key skills and training needed for the RAF. They perform exactly the same activities as full-time employees, with the difference being that they work from local territory on a part-time basis. While you will still take on periods of overseas training, you will only be required to work on a full-time basis for the RAF should they summon you. For example, in the event of a war. 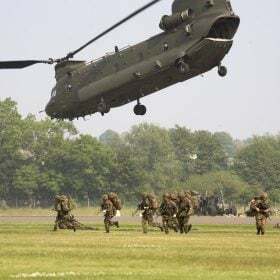 While this may seem unlikely, you should only be applying to the RAF Reserves if you are someone who IS prepared to fight for the country, should the RAF require you to do so. 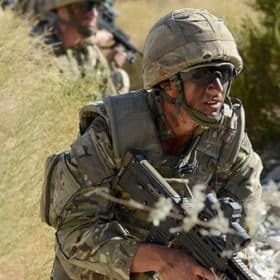 WHAT DOES IT TAKE TO JOIN THE RAF RESERVES? Working for the RAF requires technical expertise that exceeds that of other roles within the Armed Forces. The application process, therefore, is considerably harder in terms of the technical knowledge that is required. Many of the roles and careers within the RAF will require you to possess GCSEs in Maths, English and a Science- based subject. However, there are also a number of career options open to those who have no qualifications at all. Whichever path you choose, you will need to pass aptitude tests, interviews and various health and fitness assessments. In order to progress through each stage of the RAF selection process, you must prepare fully and put in 100% effort. The most common reason for failing the Royal Air Force selection process is lack of preparation. Remember that the smallest things can make the biggest difference. Try to imagine yourself as an RAF careers officer. What would you be looking for in potential applicants? What would stand out? Having the ability to listen to what you are being told is very important. 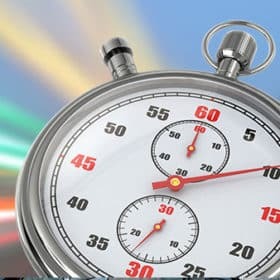 If you are asked to attend an interview or test at a specific time or place, then make sure you turn up on time. Careers in the RAF require people who are extremely punctual. Therefore, creating the right impression is crucial! I now want to introduce you to the most important part of the selection process, and the area which will single-handedly have the biggest impact on your chances of success. The core competencies refer to the key behavioural expectations of an employee of the RAF. Core competencies are becoming increasingly popular not just in the RAF, but in the majority of selection processes. 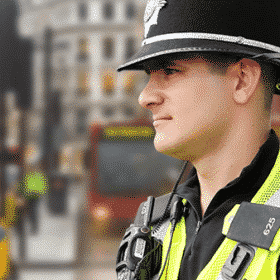 From the Police to the Royal Navy, almost every employer now has a list of set behavioural expectations, which employees will be required to demonstrate during the application process. Respect for others is extremely important in the RAF. Not only do you need to have respect for the country that you are serving, but you need to have respect for your commanding officers, subordinates and fellow RAF personnel. It’s important to have a sense of pride for your role. Remember that it is your duty as an RAF serviceman/woman to put other people first. Having respect for others also means having a good understanding of diversity, and a zero tolerance policy towards discrimination. Whilst working for the RAF, or anywhere for that matter, you will meet many different people from many different backgrounds. You need to be able to work with these people, respect their differences and build strong professional relationships. Having self-respect is important. Individuals with self-respect have a great sense of dignity and integrity. In order to perform your role successfully, you need to be able to value your own professional input and attitude towards the work, and your personal life. Having self-respect means maintaining and adhering to a code of behaviour which won’t bring disrepute to your reputation, or to the RAF. Integrity is fundamental for RAF personnel. It refers to having the ability to behave in an ethical and respectful manner, and having the courage to do the right thing in all circumstances. As an RAF serviceman, whether you are a Reserve or full-time, your colleagues need to be able to establish a level of trust and confidence in you. You must have the conviction to take what you believe is the right course of action, regardless of the consequences. 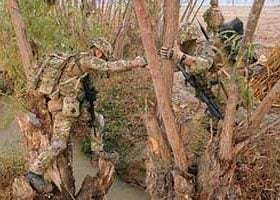 By demonstrating that you are someone who will never compromise their moral integrity, you will earn the respect of the other members of your unit, and build long lasting professional relationships. For more core competencies, including in-depth advice on how they apply to the RAF, purchase our fantastic guide! Once you have decided that a career in the RAF is for you, then it is time to make your application. Remember, you are under no obligation to join the force until you sign your contract. There are two ways to apply. The first and most efficient method is to apply online via the website www.raf.mod.uk. The second is to complete the application form at your Armed Forces Careers Office. You will need to register your details with the RAF before commencing with your online application, which usually takes around 45 minutes to complete. At the end of the application form, you’ll see two final questions. The first of these will invite you, very briefly, to explain what has prompted your interest in joining the RAF Reserves. This is fairly self-explanatory. Then, finally, you will be given a box that provides you with the opportunity to fill in ‘additional information’. You should use this box as a chance to further explain your motivation for joining the Reserves. My advice is to think of this box as a question in itself. Imagine that the question reads, ‘Please tell us why you have decided to apply for the RAF Reserves’. How would you answer? Remember that this is your only real chance to impress the reader, so make it count! Your answer doesn’t have to be long or extremely detailed, just as long as you properly convey your reasons for applying. If you can show a prior knowledge of the role itself, then even better. Do your research beforehand and then incorporate this into your response. ‘I have always been interested in joining the RAF, and I believe that a career as an RAF Reserve suits me perfectly. I am a committed, enthusiastic person who is passionate about protecting and safeguarding the British public. 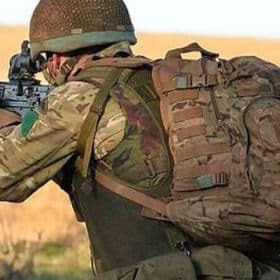 I believe that a career in the Reserves would suit me better than a career as a full time member of the service, as I have personal commitments that I will need to balance at the same time. However, I am fully prepared to drop these commitments if necessary, should the RAF require me to go into action. I am someone who believes strongly in honour, discipline, teamwork and integrity, and I know that all of these values are promoted and shared within the RAF. The reason that I have selected the role of Intelligence Analyst as my first choice is because I believe I would be extremely well suited to the position. I know that RAF Intelligence Analysts are responsible for supplying essential intelligence information to forces deployed around the world. I’m someone with fantastic analytical and decision making skills, who is highly proficient in IT based technology. Therefore, I believe that all of these competencies would make me a good fit for the role, and that working as a Reserve presents the ideal environment for me to learn and grow. I would make a dedicated, passionate and skilled addition to the RAF Reserve team, and I would be extremely grateful if you would consider my application’. Once you have filled in the final section, check your application over thoroughly. Don’t just read it yourself, give it to your friends and family to iron out any possible spelling errors or general mistakes. Remember that the RAF get many thousands of these applications, you need to do your best to stand out from the majority, who won’t have checked their application over properly and won’t have prepared by using the core competencies. An open day, designed to further educate candidates on the role that they are applying for, providing them with the opportunity to ask questions and meet with other potential recruits. An open day, designed to further educate candidates on the role that they are applying for, providing them with the opportunity to ask questions and meet with other potential recruits, followed by a series of psychometric aptitude examinations. When you receive your invitation to attend the information day, you will be informed on whether you will be required to take the aptitude tests on the day, or afterwards. Either way, you need to start preparing immediately. I cannot emphasise how important this is. The tests that you will be required to take are extremely difficult and challenging, and the large majority of candidates will not be successful. The reason that these candidates will fail is because they lack preparation, and as a result will not have enough practice before the examination. Many candidates will wait until they receive their invite to the information day to start their preparation. This is a huge mistake. Once you’ve sent off your application form, start preparing immediately. If you can, you should even start preparing BEFORE sending off the application form. To be successful in these assessments you will need to be as familiar as you possibly can with the type of questions you’ll be answering. In the next sections, I’ll show you how you can do this. Take a look at the following passage and then answer the questions below. Electricity is everywhere in our homes, and plays an important part in our lives. It only takes one badly wired plug to prove just how powerful electricity is. The wires don’t even need to touch for a spark to jump and a fire to start. You should never become complacent where electricity is concerned. Just because there’s no flame, doesn’t mean there’s no fire risk. The major rule where fires are concerned is that you should not put people’s lives at risk. Get everyone out of your home and call the Fire Service. What are the basic particles that make up an atom? EXPLANATION = this contradicts the passage as it states ‘you should never become complacent where electricity is concerned’. Therefore this statement would be false. You should never put water on an electrical fire. EXPLANATION = whilst it is common sense that you shouldn’t use water to put out an electrical fire, it is not actually stated in the passage, therefore you cannot assume this to be true. Multiplying fractions is easy. 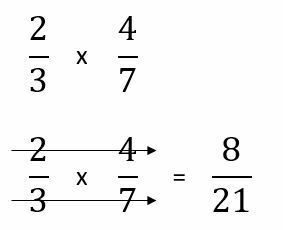 Draw an arrow through the two top numbers of the fraction, draw a line through the two bottom numbers (as shown above) and then multiply – simple! Sometimes the fraction can be simplified, but in the above example, the answer is already in its simplest form. Which of the answers below is an alternative code for 563? As you can see in the above example, 563 uses the 1st column, the 2nd column and the 3rd column (in that order). You can see that answer B has the same code as 563. The triangle is taken from the 1st column, the ‘F’ is taken from the 2nd column and the ‘T’ is taken from the 3rd column. 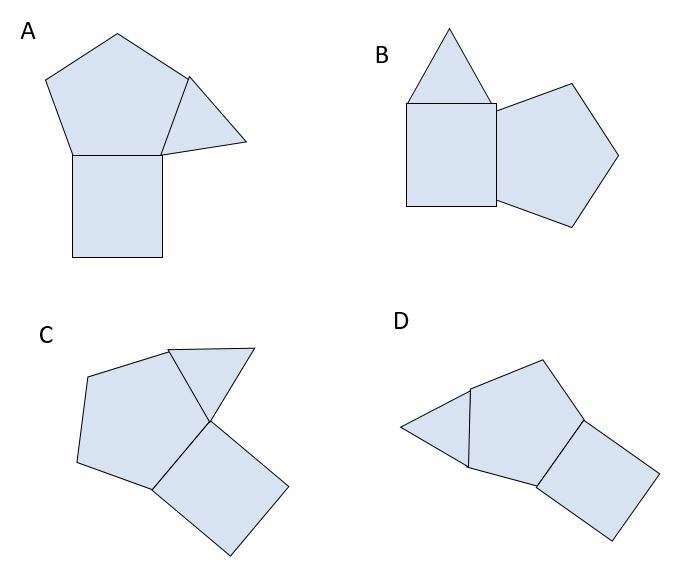 During the test you will be confronted with a number of spatial reasoning questions. The only effective way to prepare for them is to practise as many as you can. You will find that the more questions you try, the quicker you will become at answering them. Below we have included a sample work rate question, to help familiarise you with the process. Look closely at the following shapes, paying careful attention to the letter which is written on each side. Using the correct letters, join the 3 shapes together in order to make the shape shown below. 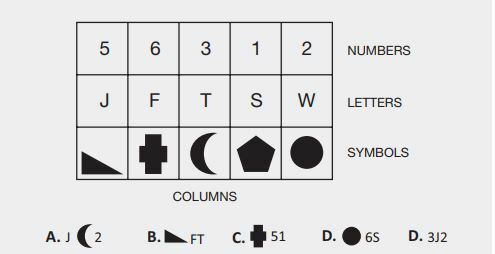 Remember, for this type of question, you must use the letters to determine where each of the shapes will be positioned. The letters will refer to the side of a shape, which will then need to be connected to the side of another shape which also contains that letter. Mechanical Comprehension tests are an assessment that measures an individual’s ability to understand mechanical concepts. Below we have included a sample mechanical comprehension question, to help familiarise you with the process. If the pulley is fixed, then the force required is equal to the weight. A simple way to work out how to calculate the force that is required, is to divide the weight by the number of sections of rope supporting it. 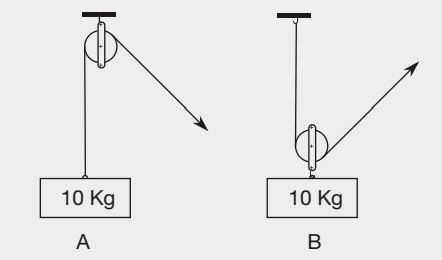 Diagram A = there is only one section of rope supporting the weight, therefore this can be worked out by = 10 ÷ 1 = 10. Diagram B = there are two ropes supporting the weight, therefore this can be worked out by: 10 (weight) ÷ 2 (number of ropes supporting the weight) = 5. During the aptitude tests, you will be required to sit an Electrical Comprehension assessment. The test itself is designed to assess your ability to work with different electrical concepts. If you struggle to understand the concepts of electrical circuits and terminology, then you may wish to purchase our Electrical Comprehension Tests guide to further aid you during this section. This guide can be obtained via www.how2become.com or www.amazon.co.uk. Below we have included 2 sample mechanical comprehension question, to help familiarise you with the process. Electrical power is measured in what? EXPLANATION = Electrical power is measured using watts. The basic particles that make up an atom are what? EXPLANATION = the three elements that make up an atom are protons, neutrons and electrons. During the aptitude selection tests, you will be required to undertake a memory test. The test is usually in two parts. During the first part of the test you will be required to view a sequence of letters. The letters will appear on a screen for a period of time. After that time, the sequence will disappear and you will then be required to answer questions relating to that sequence. Below we have included a sample exercise from the first part of the test, to help familiarise you with the process. Let’s assume that the sequence of letters looks like the following. Please note that during the real test the letters may appear individually over a set period of time and not collectively as per below. How many letter E’s were in the sequence? How many letters were there in between the letter W and the letter X? Hopefully you managed to get the questions correct. Your ability to successfully pass this test will be dependent on how good your memory is. In order to improve your ability during this test, try the following sample exercises. During the selection process, you will be required to sit a number of interviews depending on the role for which you are applying. For some of the more technical or demanding posts, you will be required to attend a specialist interview which will be held at an RAF base. These can last up to three days depending on the career. This is also an opportunity for you to see what the job is like and meet some of the people you would be expected to work with once you have passed your initial training. The first interview will be held at your local Armed Forces Careers Officer and will be undertaken with a member of the RAF recruitment team. The duration of the interview will very much depend on your responses to the questions. However, you can expect the interview to last for approximately 30 minutes. Now let’s take a look at a sample interview question. Please note that these questions are not guaranteed to be the exact ones you’ll hear during the real interview, but they are a great starting point in your preparation. Why do you want to join the RAF Reserves? ‘I have wanted to join the RAF Reserves for a couple of years now, and I have been working very hard to pass the selection process. Having studied the recruitment literature, and the RAF website, I am impressed by the professionalism and standards that the service sets for itself. I would like a career that is fulfilling, challenging and rewarding, and I believe that the RAF would provide all of these. During my research, I have spoken to serving members of the RAF Reserves and every single one of them had positive things to say about the role. The fact that I would be training in otherwise unreachable skills and furthering my education, whilst still living my normal life back at home, is just another example of why I want to join the Reserves. Over the last few years I have become more aware of my own skills and qualities, and I believe these would be very well suited to the RAF. I am someone who likes to take responsibility, and have demonstrated this on a number of occasions. For example, I was recently made Captain of my football team, a role which involves organising team trips and fixtures. I am also a good team player, and enjoy working with different groups of people who have had different experiences in their life. There is always something to learn, and I would love to be part of a service such as the RAF, where I would be continually learning new skills. pass the entire RAF Reserves selection process. Unlimited assessment questions and answers! In depth advice on how to fill in the application form AND pass the competency questions. Top tips on how to apply the core competencies at every stage of the process! Foolproof interview tips and advice to help you pass the final Interview. In How To Join The RAF Reserves we have covered all of this information, and much more. Our book is the NUMBER 1 resource for anyone hoping to join the force. Packed with fantastic tips, it has been created by Richard McMunn, an expert within the industry. It will show you how to successfully pass the assessment process, and ensure a fantastic career for yourself in the service. It contains invaluable interview questions and answers, hundreds of assessment centre exercises and even tips on how to complete the application form. Bonus Chapter 7: How To Get RAF Fit. This chapter contains fantastic and invaluable advice on how to make sure that you are 100% ready for the RAF Reserves fitness test! FOR A LIMITED PERIOD ONLY we are able to give you our RAF Interview DVD (worth £14.97) for free with this book. 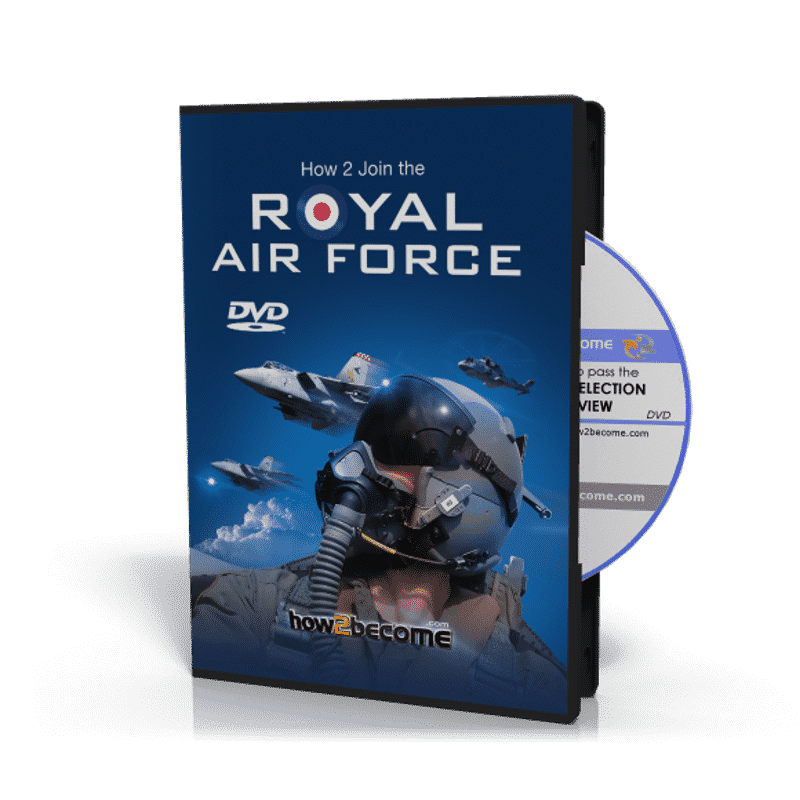 This DVD resource provides a complete overview of the RAF selection interview and includes sample RAF interview questions and responses. Within the ‘How To Join The Royal Air Force’ book we have provided you with a FREE ‘How To Get RAF Fit’ information guide designed to help you get fit and pass the RAF Pre-Joining Fitness Test. This guide includes many useful tips, advice and exercises that have been designed to help pass the RAF fitness test with relative ease. Within the ‘How To Get RAF Fit’ guide are exercises for everyone and you don’t have to be a member of a gym to take part. When you order your product you will automatically receive 30-days FREE ACCESS to our awesome RAF Airman Testing Suite. 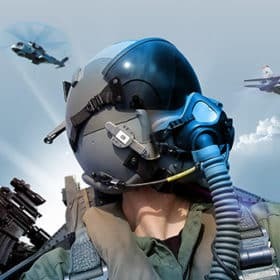 You will instantly receive an email containing an username and password that entitles you to use this powerful testing suite where you can try out sample tests that are very similar to the actual RAF Airman Test! After the 30-day free trial is over the service is automatically charged at just £4.95 plus vat with no minimum term. See our terms and conditions at the bottom of the page. 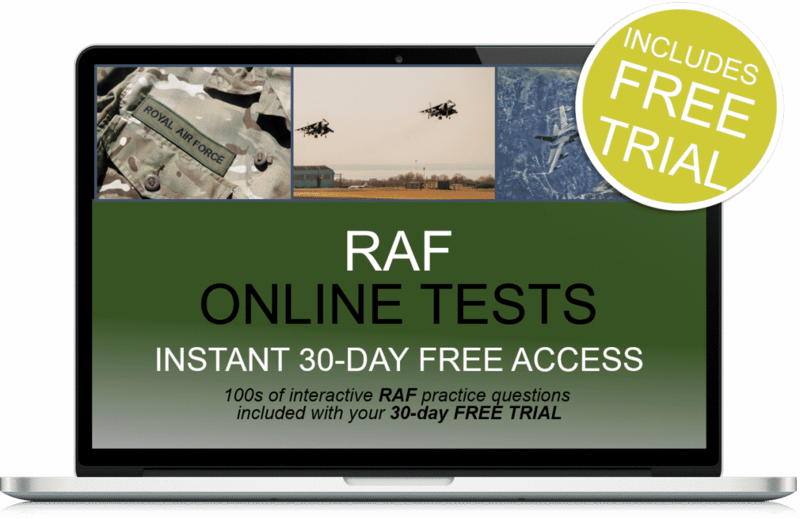 You will get FREE 30-days access to hundreds of RAF Airman tests that will help you achieve success during the actual test! PLUS BONUS RAF Interview DVD (worth £14.97) included.